In C3’s 2017-18 Annual Review, ‘People at the heart of prevention’, we share the outcomes from our bold, ambitious project tackling a sensitive issue: raising awareness of obesity in the nursing profession and engaging nurses themselves in how to address this. 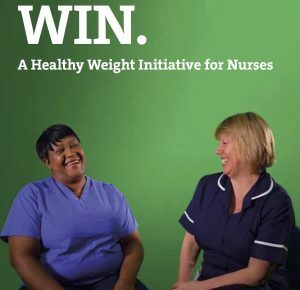 From 2015 to 2017, the Healthy Weight Initiative for Nurses (WIN.) engaged with over 400 nurses in England to design initiatives to help nurses to achieve and maintain a healthy weight. WIN. 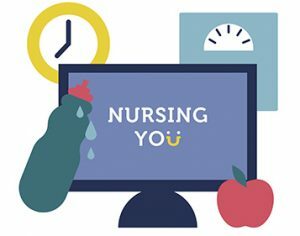 was a partnership between C3, London South Bank University and the Royal College of Nursing (RCN), with funding from the Burdett Trust for Nursing, the RCN and the RCN Foundation. Selena is a burns and plastic reconstruction specialist nurse, and was one of WIN.’s most active participants. Below is her story. Download our 2017-18 Annual Review for more outcomes from WIN. and C3’s other programmes. ‘Being an overweight nurse I felt that [the Healthy Weight Initiative for Nurses (WIN.)] may help me tackle my own obesity issue in a way that worked with my job and its associated issues. I was involved from the start. My purpose was to ensure that the whole project was suitable for nurses and led by nurses. WIN. has made me more aware of the opportunities that exist for nurses whilst highlighting how nursing impacts on our everyday lives, and how we fail to look after ourselves whilst looking after others. I found the whole experience empowering. The biggest challenge participating with WIN. on a personal level was admitting how much I needed to address the issue, whilst the professional challenge was believing in myself to be part of the project, that my opinions mattered and that, I did, in fact have valid ideas and suggestions. The people who led the project were superb, approachable, fantastic communicators, open and engaging. Since becoming involved with the project I have lost some considerable weight, around 4 stone (25 kg); started running – around 5k three times a week, and ran a 10k in February 2018; started dancing and progressed to dancing in competitions – something I would never have done previously as the dresses are just too tight and revealing for someone who feels self-conscious about their weight. I am much more confident and feel much happier and more in control of my body. I am no longer diabetic and no longer require statins. I feel much more confident to tackle the issues of weight management with my patients; previously it was a subject I shied away from. Physically I have noticed I ache less after a long shift and that the additional exercise has helped with my mood both in and out of work. I hope I have inspired a couple of the nurses I work with to take positive steps to ensure they can continue to nurse in a healthy manner. The ward now has a team that run regularly both for fun and charity. I hope that WIN. helps nurses tackle their weight demons; I hope it helps them feel empowered to take their body back and feel in control. Weight loss is an emotive subject. With the added issues of being a nurse there is no easy solution but having options that are simple and effective are a good starting point. Selena is a burns and plastic reconstruction specialist nurse, and was one of C3's the Healthy Weight Initiative for Nurses (WIN. )’s most active participants. She is also a member of C3's advisory group for NURSING YOU.